Yesterday, I came across THIS post on Sarah Elizabeth Design. 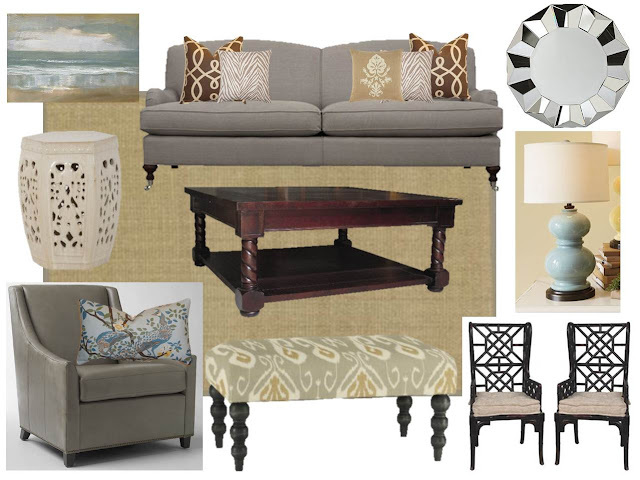 She used our great room as inspiration and created a design board based on our decor. Check out her work and fantastic blog HERE. And just look at those bamboo chairs and that artwork. I love them better than my own! For a list of sources, be sure to visit her site.